Call Teeth What You Will, Just Keep Them Healthy, San Diego! Chompers. Pearly Whites. Dents. Gnashers. Grill. Here in San Diego we have a lot of fun ways to refer to our teeth. And while you can switch up what you call them, you should never switch up a well-engrained oral health routine. Making time in your busy day to brush and floss is a habit that will pay off throughout your life. You’ll prevent tooth decay, plaque, and gum disease, not to mention bad breath (something friends, family, and coworkers will also appreciate). Speaking of pearly whites, following basic dental health advice from your San Diego area dentist will help keep your teeth looking their best as well. If you’re interested in a smile makeover, your dentist can tell you about procedures such as teeth whitening, porcelain veneers, cosmetic bonding, and dental implants. 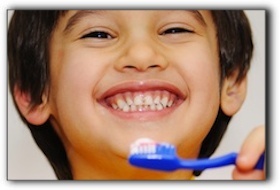 If you are in the San Diego or La Mesa area and are looking for a dentist, give us a call here at 619-717-8560. A member of our friendly and professional staff can help you schedule an appointment for a cleaning and check-up and also answer questions you may have about teeth whitening and other cosmetic dentistry procedures.